The Kimberley Grande, Kununurra's premier resort captures the Kimberley's sense of 'place and space'. All rooms feature a hi-definition 55 inch LCD TV, a King bed with fine linen, hi-speed wired and wireless broadband, climate controlled air conditioning, overhead fans, bar refrigerator, parking and an abundance of natural light and wide verandas. The mix of colours and textures in all rooms creates a calm and restful atmosphere. The Kimberley Grande's graciously sized 72 guest rooms including five luxurious spa suites reflect the character of an Australian outback homestead whilst boasting contemporary style and comfort. The Kimberley Grande provides a range of dining options, a 25m swimming pool with spa and lap lanes, personalised service and tours, superior conference facilities and customised corporate experiences. The Kimberley Grande offers the finest conference facilities in Kununurra, with three meeting areas seating up to 260 people which is ideal for personal or corporate functions including wedding receptions and celebrations, product launches and other corporate events. The most memorable aspect of The Kimberley Grande is our personalised service. Our warm and genuine hosts ensure that your every need is catered for. So your Kimberley experience is always a unique and personal one. There are just three Kimberley Spa Suites, offering The Kimberley Grande�s ultimate experience - an oasis of tranquillity and is the ideal space to relax and reflect on your Kimberley journey. 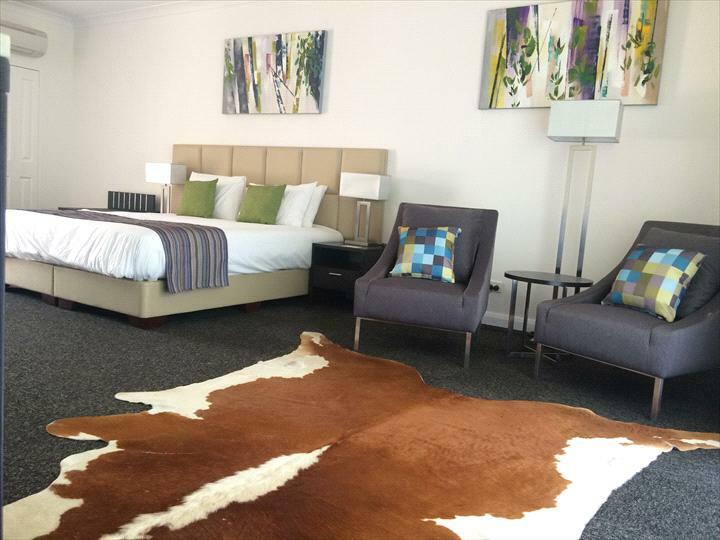 These graciously appointed suites capture the Kimberley�s sense of space and freedom with modern d�cor and furnishings. Opening onto the resort�s gardens and swimming pool, they offer a spacious bathroom with spa bath and a king bed with fine linen. Here all needs are anticipated and include individually controlled split cycle air conditioning, wifi connectivity and a mini-bar fridge. Outdoor seating is provided outside of the rooms via the second entry sliding door. Parking is available directly outside the front door of each suite. Parking arrangements can be made for larger vehicles such as motorhomes or those towing a caravan or trailer. 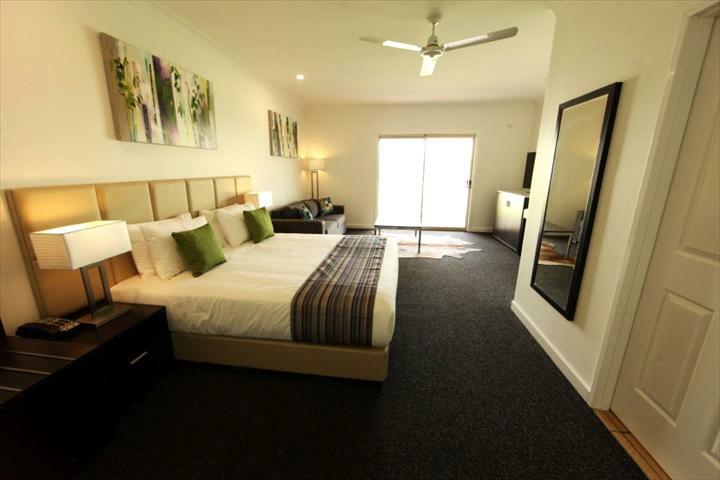 Reflecting the space and freedom of the Kimberley, our Kings Garden/Pool View rooms feature modern d�cor and furnishings. Gracious and spacious, these rooms open onto the resort�s gardens/pool area and feature a 55 inch smart flat screen TV, a King bed with fine linen and a spacious ensuite. Here all needs are anticipated and include coffee and tea making facilities, individually controlled split cycle air conditioning, ceiling fan, wifi connectivity and mini-bar fridge. Outdoor seating is provided outside of the rooms via the second entry sliding door. Parking is available out the front of each room. Parking arrangements can be made for larger vehicles such as motorhomes or those towing a caravan or trailer. Our Kings Terrace Rooms capture the Kimberley sense of "place and space". 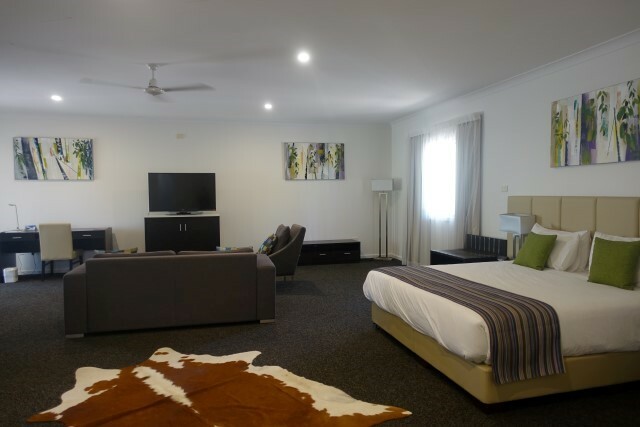 These large comfortable rooms feature a spacious en suite, 55 inch smart flatscreen TV, modern furnishings and decor, a king bed, coffee and tea making facilities, individually controlled split cycle air conditioning, ceiling fan, wi-fi connectivity and mini-bar fridge. Outdoor seating is provided outside of the rooms via second entry sliding door. These rooms have limited parking - please advise if you would require parking when making a reservation. Parking arrangements can be made for larger vehicles such as motorhomes or those towing a caravan or trailer. Twin bedding can be arranged upon request prior to arrival.